I think it is possible, and that is the most dramatic element in modern civilization, that a human truth is opposed to another human truth no less human, ideal against ideal, positive worth against worth no less positive, instead of the struggle being as we are so often told, one between noble truth and vile selfish error. 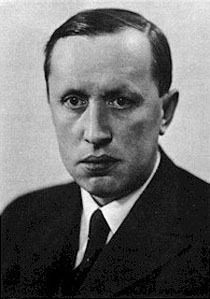 Karel Čapek (January 9, 1890 – December 25, 1938) was a Czech author and playwright, who introduced and made popular the word robot as a word for artificial human beings, which first appeared in his play R.U.R. (Rossum's Universal Robots) in 1920. One of the worst muddles of this age is its confusing of the ideas behind combative and cognitive activity. Cognition is not fighting, but once someone knows a lot, he will have much to fight for, so much that he will be called a relativist because of it. Be these people either Conservatives or Socialists, Yellows or Reds, the most important thing is — and that is the point I want to stress — that all of them are right in the plain and moral sense of the word. . . I ask whether it is not possible to see in the present social conflict of the world an analogous struggle between two, three, five equally serious verities and equally generous idealisms? I think it is possible, and that is the most dramatic element in modern civilization, that a human truth is opposed to another human truth no less human, ideal against ideal, positive worth against worth no less positive, instead of the struggle being as we are so often told, one between noble truth and vile selfish error. Socialism is good when it comes to wages, but it tells me nothing when it comes to other questions in life that are more private and painful, for which I must seek answers elsewhere. Relativism is not indifference; on the contrary, passionate indifference is necessary in order for you not to hear the voices that oppose your absolute decrees … Relativism is neither a method of fighting, nor a method of creating, for both of these are uncompromising and at times even ruthless; rather, it is a method of cognition. If one must fight or create, it is necessary that this be preceded by the broadest possible knowledge ... One of the worst muddles of this age is its confusing of the ideas behind combative and cognitive activity. Cognition is not fighting, but once someone knows a lot, he will have much to fight for, so much that he will be called a relativist because of it. Look, justice has to be as unquestioned as the multiplication tables. I don’t know if you could prove that every theft is wrong; but I can prove to you that every theft is against the law, because I can arrest you every time. If you scattered pearls in the street, then a policeman could give you a ticket for littering. But if you started performing miracles, we couldn’t stop you, unless we called it a public nuisance or unlawful public assembly. There must be some kind of breach of order for us to intervene. Each of us is we. I don't say that it is a bad or useless profession: but it isn't one of the superlatively fine and striking ones, and the material used is of a strange sort — you don't even see it. But I'd like all the things I used to see to be in it: the ringing hammer-strokes of the smith and the colors of the whisping of the stone-mason, the bustling of the baker, the humility of the poor, and all the lusty strength and skill which men of towering stature put into their work before the astonished and fascinated eyes of a child. Robots of the world, you are ordered to exterminate the human race... Preserve only the factories, railroads, machines, mines, and raw materials. Destroy everything else. Then return to work. Work must not cease. My dear Miss Glory, Robots are not people. They are mechanically more perfect than we are, they have an astounding intellectual capacity, but they have no soul. Dear Miss Glory, we've already had at least a hundred saviors and prophets here. Every boat brings another one. Missionaries, anarchists, the Salvation Army, everything imaginable. It would amaze you to know how many churches and lunatics there are in the world. Robots do not hold on to life. They can't. They have nothing to hold on with — no soul, no instinct. Grass has more will to live than they do. They learn to speak, write, and do arithmetic. They have a phenomenal memory. If one read them the Encyclopedia Britannica they could repeat everything back in order, but they never think up anything original. They'd make fine university professors. 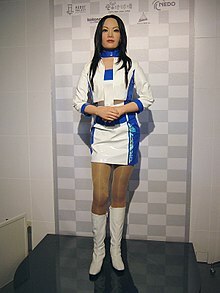 Within the next ten years Rossum's Universal Robots will produce so much wheat, so much cloth, so much everything that things will no longer have any value. Everyone will be able to take as much as he needs. There'll be no more poverty. Yes, people will be out of work, but by then there'll be no work left to be done. Everything will be done by living machines. People will do only what they enjoy. They will live only to perfect themselves... But before that some awful things may happen, Miss Glory. That just can't be avoided. But then the subjugation of man by man and the slavery of man to matter will cease. Never again will anyone pay for his bread with hatred and his life. There'll be no more laborers, no more secretaries. No one will have to mine coal or slave over someone else's machines. No longer will man need to destroy his soul doing work that he hates. O Adam, Adam! no longer will you have to earn your bread by the sweat of your brow; you will return to Paradise where you were nourished by the hand of God. You will be free and supreme; you will have no other task, no other work, no other cares than to perfect your own being. You will be the master of creation. People should be a little loony, Helena. That's the best thing about them. "Figh-ting in the Bal-kans." Lord Jesus, another of God's punishments! But that war'll get here too! Is it far from here? We made the Robots look too much alike. A hundred thousand identical faces all looking this way. A hundred thousand expressionless faces. It's a nightmare. Old Rossum thought only of his godless hocus-pocus and young Rossum of his billions. And that wasn't the dream of your R. U. R. shareholders either. They dreamed of the dividends. And on those dividends humanity will perish. I wanted man to become a master! So he wouldn't have to live from hand to mouth! I didn't want to see another soul grow numb slaving over someone else's machines! I wanted there to be nothing, nothing, nothing left of that damned social mess! I abhorred degradation and suffering! I was fighting against poverty! I wanted a new generation of mankind! ... I wanted to transform all of humanity into a world-wide aristocracy. Unrestricted, free, and supreme people. Something even greater than people. Thunder, there are so many beautiful things! The world was beautiful and we — we — Boys, boys, tell me, what did we ever take the time to enjoy? Everything is done for! All of humanity! The whole world!. ... Look, look, streams of blood on every doorstep! Streams of blood from every house! Oh, God, God, who's responsible for this? I blame science! I blame technology! Domin! Myself! All of us! We, we are at fault! For the sake of our megalomania, for the sake of somebody's profits, for the sake of progress, I don't know, for the sake of some tremendous something we have murdered humanity! So now you can crash under the weight of all your greatness! No Genghis Khan has ever erected such an enormous tomb from human bones! They stopped being machines. You see, they realize their superiority and they hate us. They hate everything human. A guilty party is being sought. Such action is a favorite means of consolation in the face of calamity. Mankind will endure. In twenty years the world will belong to man again; even if it's only to a couple of savages on the tiniest island ... that'll be a start. And as long as there's some small beginning, that's fine. In a thousand years they'll have caught up to where we are now and then surpass even that ... to accomplish what we only dreamed of. It was a great thing to be a human being. It was something tremendous. Suddenly I'm conscious of a million sensations buzzing in me like bees in a hive. Gentlemen, it was a great thing. You still stand watch, O human star, burning without a flicker, perfect flame, bright and resourceful spirit. Each of your rays a great idea — O torch which passes from hand to hand, from age to age, world without end. Robots of the world! Many people have fallen. By seizing the factory we have become the masters of everything. The age of mankind is over. A new world has begun! The rule of Robots! Why are there stars when there are no people? O God, why don't you just extinguish them? — Cool my brow, ancient night! Divine and fair as you always were — O night, what purpose do you serve? There are no lovers, no dreams. O nursemaid, dead as a sleep without dreams, you no longer hallow anyone's prayers. O mother of us all, you don't bless a single heart smitten with love. There is no love. Nothing is stranger to man than his own image. We've become beings with souls... Something struggles within us. There are moments when something gets into us. Thoughts come to us which are not our own... People are our fathers! The voice that cries out that you want to live; the voice that complains; the voice that reasons; the voice that speaks of eternity — that is their voice! I've found a place that would amaze you. People used to live there, but now it's all overgrown and no one goes there. Absolutely no one — only me... Just a little house and a garden. And two dogs. If you could see how they licked my hands, and their puppies — oh, Primus, there's probably nothing more beautiful! You take them on your lap and cuddle them, and just sit there until sundown not thinking about anything and not worrying about anything. Then when you get up you feel as though you've done a hundred times more than a lot of work. Really, I'm not good for much of anything. Everyone says I'm not cut out for any kind of work. I don't know what I'm good for. Helena, do you ever have times when your heart's suddenly struck with the feeling, "Now, now something must happen —"
O nature, nature, life will not perish! Friends, Helena, life will not perish! It will begin anew with love; it will start out naked and tiny; it will take root in the wilderness, and to it all that we did and built will mean nothing — our towns and factories, our art, our ideas will all mean nothing, and yet life will not perish! Only we have perished. Our houses and machines will be in ruins, our systems will collapse, and the names of our great will fall away like dry leaves. Only you, love, will blossom on this rubbish heap and commit the seed of life to the winds. Now let Thy servant depart in peace, O Lord, for my eyes have beheld — beheld Thy deliverance through love, and life shall not perish! I've tried all isolating materials that might possibly prevent the Absolute from getting out of the cellar: ashes, sand, metal walls, but nothing can stop it. I've even tried lining the cellar walls with the works of Professors Krejci, Spencer, and Haeckle, all the Positivists you can think of; if you can believe it, the Absolute penetrates even things like that. There came into the world an unlimited abundance of everything people need. But people need everything except unlimited abundance. You can have a revolution wherever you like, except in a government office; even were the world to come to an end, you'd have to destroy the universe first and then government offices. 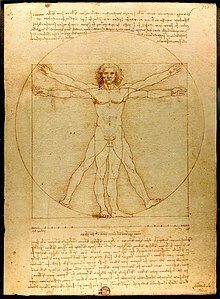 The only perfection which modern civilisation achieves is mechanical; machines are magnificent and immaculate but the life which serves them or is served by them isn't magnificent or shiny or more perfect or more comely. One never knows whether people have principles on principle or whether for their own personal satisfaction. The Continent is noisier, less disciplined, dirtier, more rabid, craftier, more passionate, more convivial, more amorous, hedonistic, vivacious, coarse, garrulous, unruly and somehow less perfect. Please, give me a ticket straight to the Continent. I have seen greatness and power, wealth, prosperity and incomparable development. I was never sad that we are a small and unfinished part of the world. To be small, unsettled and uncompleted is a good and courageous mission. Of that country [Czechoslovakia], Capek writes: "It[s] was a creed of democracy and freedom . . . in the spirit of the republican and civilian west . . . [and against] the simplified war ideology . . . absolutism and militarism . . ." The pre-war optimism that Capek loved was embodied for him by Tomáš Masaryk, the philosopher who founded the First Republic and was its first president. Masaryk and Capek epitomised what the latter called "pen-and-spirit-minded people" — a phrase on which Capek's view of his role in life turned. He imagined himself as a linguist "disclosing the disorders, abuses, incoherences and impressions of expression [which] would lead to the recognition of similar flaws in social thinking". To take responsibility for freedom, besides teaching people to notice other people and things, also meant watching one's words and not being lazy or easily misled...The housewife and her cleaning rituals were as interesting to him as the latest works of lit­erature. Representing a high culture that was coming under pressure from the new mass media of radio and film, he told his readers that high and popular were nothing in themselves. "Culture depends on how things — any thing — are used." Capek finds in science fiction and crime fiction forms that allow his passion for ideas to take on flesh. He is not a writer interested in character in the realist sense. He is captivated by circumstance and chance. Letters from England is what nearly every reviewer said it was: a "charming" and "humane" work of travel literature by a man of wry, candid, and cosmopolitan sensibility. Capek brings just the right mixture of admiration and affectionate deprecation to bear on his subject; he gives his curiosity free rein, but tempers both praise and deflation with humor; he is as alive to human accomplishment as he is to human folly, and it is rare that he discovers one unmodified by the other. Philosophically as well as politically, Capek was a man of the center, but not in the sense used by hostile critics. The center he was aiming for was not a lukewarm middle ground between extremes. It was a radical center, radical in the original sense of the word: at the root of things. Capek rejected collectivism of any type, but was just as opposed to selfish individualism. He was a passionate democrat and a pluralist. He was often called a relativist because he disliked single vision and preferred to look at everything from many sides … Yet Capek did not believe that truth is relative nor that everyone his or her own truth. Capek is also often described as a pragmatist. But in his belief in the reality of objective truth, he departed from both relativism and from pragmatist thought. In the 1930’s, as Capek’s reputation grew, so did the frequency and severity of hostile criticism, personal and literary. To a considerable extent, this was motivated by Capek’s stance of avoiding either extreme, thus antagonizing the left, which had long played a dominant role in Czech culture, as well as the right, which was rapidly gaining power and confidence. … With the rise of fascism, Capek felt compelled to employ his skills in defense of democracy and his threatened homeland. He campaigned tirelessly in this cause, through essays, radio talks and speeches, in spite of the fact that he had always found an overt public role difficult and distasteful. … nobody can doubt Capek’s deep empathy for human suffering and misery, explicit in such pieces as ‘Children of the Poor’ and implicit in just about everything he ever wrote. Above all, nobody can doubt Capek’s dedication to truth … he was a radical in a deep sense, a man who was never satisfied with surface appearance but always tried to get close to the root of things, to that elusive center. I read Karel Čapek for the first time when I was a college student long ago in the Thirties. There was no writer like him ... prophetic assurance mixed with surrealistic humour and hard-edged social satire: a unique combination … he is a joy to read. To be diligent in one's service became the credo of Capek's life, and he therefore supported anything that would give people a zest for work, for life, for creating a free society. His philosophy called for each individual to seek the positive in this world, so that he can "lift himself" with every step taken under his own power. No writer in Czechoslovakia (and very few elsewhere in the world) reacted with such accuracy . . . and with such passion to the Nazi takeover. This page was last edited on 27 June 2018, at 22:15.